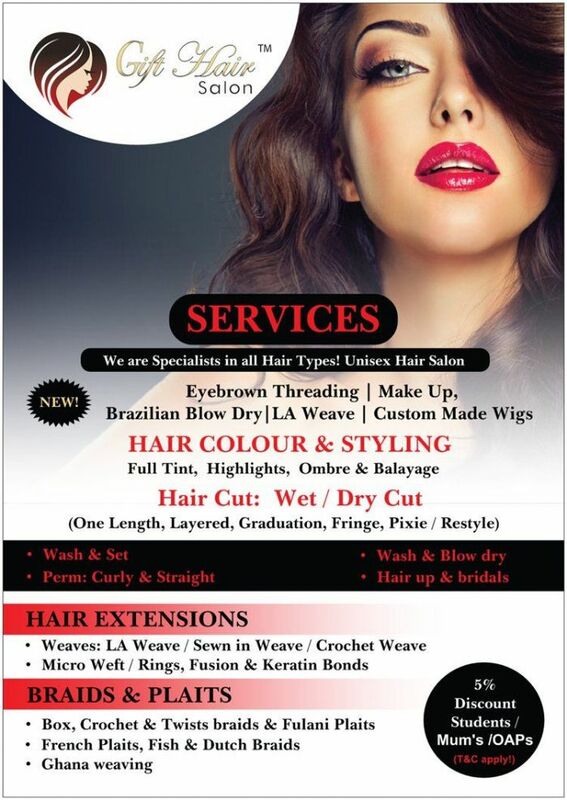 OUR NEW HAIR STORE & SALON NOW LIVE! We would like to share photo of our fully launched store. Visit us in store at 24 Market Place, Hatfield, Hertfordshire, AL10 OLN. OFFICIAL OPENING DATE NOW LIVE! The moment we have all been waiting for! Dates are live now! We are pleased to inform you that our NEW HAIR STORE AND UNISEX SALON will be officially opened on 25 November 2014. From 9am - 6pm. Specific opening times will be made known to everyone! 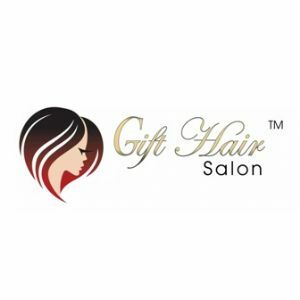 Gift Hair Collection is now expanding and is opening a Hair Salon with a difference. Specialising in the highest quality hair extensions, weaves and wigs, the salon will become a specialist in all hair by now offering European cuts and colours for both men and women alike. It will also offer manicures and pedicures. 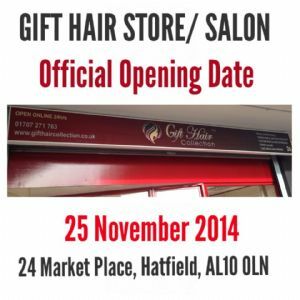 Gift Hair Collection and Gift Hair Salon will be located at the heart of Hatfield, Town in Hertfordshire. We are upstairs on the first floor of the shop fronts at the Market place. Right opposite Market Place Bus-stop. On the left is Hatfield Town inn and on the right is the very tallest building 'Queensway House which is situated around your popular groceries store Asda super market, behind Iceland, Boots and Lloyds bank . There are free parking spaces in Hatfield Towncentre where we are located. Free parking spaces up 4 hours (short stay) managed by Welwyn and Hatfield Borough Council. Mondays to Fridays 9am -5pm. Free Saturdays and Sundays. Please see parking locations listed below. We are proud to annouce to all our existing and new customers that we will be opening our NEW Retail outlet and Salon in Hatfield Hertfordshire. Our new outlet and salon will be launched before this Christmas. We will confirm the date soon! Follow us on Facebook for latest updates on the setting up. 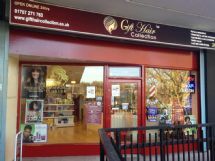 https://www.facebook.com/GiftHairSalonUK Don't miss out on the events. We owe our thanks to your enormous support and custom to Gift Hair Collection TM over the last few years and promise to provide better products and customer service. As a special thank you for your support we are offering a special 10% off to all our existing customers. Contact us for more information.